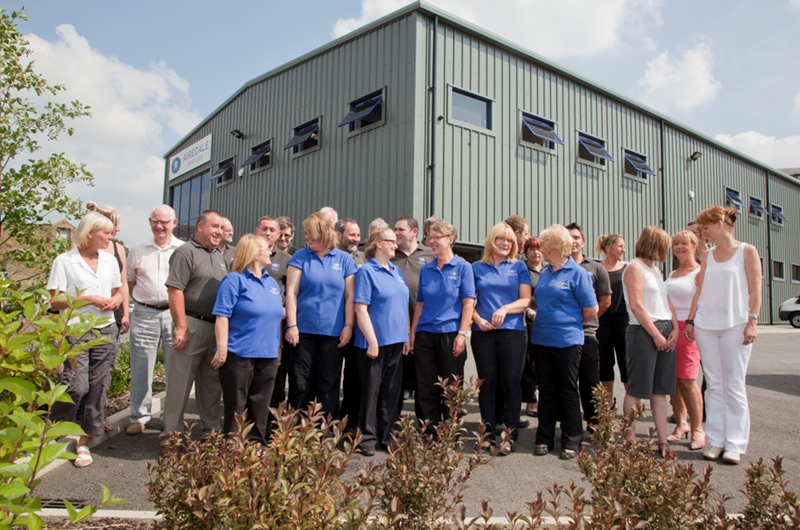 Family run businesses have many benefits and here at Airedale Springs we know that a successful company goes far beyond just making a financial profit; our employees are the life blood behind the success of our business as spring manufacturers. Many businesses nowadays are big, corporate businesses where their employees are described as the organisations most important asset but those same employees may feel like a number, just one among many. In large organisations it becomes increasingly difficult to know not only the employees, but also its history. Businesses that have local or familial roots can be the heart of a community thought of fondly by its inhabitants and the generations who worked there. A family business will benefit from sharing common values and beliefs in running a business, which will allow for company-wide smooth operations stemming from quick decisions and short lines of communication. It’s also a more stable environment for everyone; when growing a company, future generations’ needs are usually in mind, and as such it encourages long-term thinking for a successful business. It will also have a monetary advantage; family will be more willing to make sacrifices with their finances to help the company succeed by taking a lower salary. Loyalty is a big value within families, and strong bonds will make the business the top priority during adverse times. Here at Airedale Springs we know all about family businesses. We’ve been a family run business since being founded by H. G. Parkinson on the 7th June 1945 in Keighley, primarily manufacturing wire handles for wax boxed accumulators. The Company moved to Oxenhope, where it continued to develop and serve a wide range of diverse industries. By the mid 1970’s it employed nearly 200 people at 5 different locations including Haworth, Keighley, Rochdale, Skipton and Oxenhope. At this time it also held its first 25 year club event for three employees completing their 25 years continuous service. In our 70th anniversary year we welcomed our 47th member who is one of 15 club members of our total current workforce of 34. Although expert in numerous product lines, from break shoes, mattress interiors, radiator cap assemblies, household decorations and springs, in the late 1970’s the Company started to consolidate its production capability to that of the manufacturing of springs and wire forms. In 1989 it had also consolidated its production facilities to one large single site of Ebor Lane, Haworth. 2010 was a tough year for the company. In August of that year there was a fire at Ebor Works, which consumed the building overnight and put the existence of the Company in jeopardy. Determined to continue, Airedale Springs had the option of leaving its home in Haworth and move to, as some would say, a more suitable location. However our employees were always the main priority and many were local people, extremely dedicated and hard working. By staying close to our historic home, we ensured that our amazing employees with their expertise and skill stayed with us ensuring we were able to continue supplying top quality products to our customers. In 2014 and 2015 Airedale Springs won several business awards including “Employer of the Year”. As industry leaders and one of the largest independent family spring manufacturers in the country, quality of products and service is always a top priority. We are able to deliver the best service possible due to the commitment of our dedicated and loyal employees. To find out more, contact us on 01535 643456 and our highly-skilled team will answer any query you might have about your spring and wire form requirements.